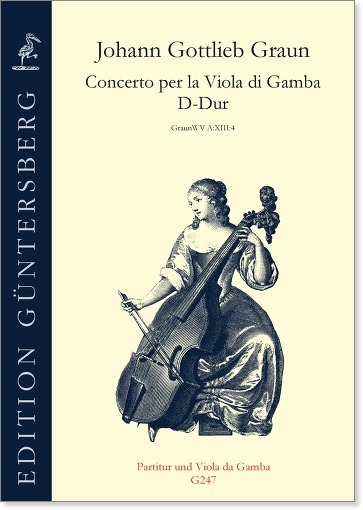 This concerto for viola da gamba and string orchestra by Johann Gottlieb Graun has come down to us in a carefully written set of parts which his colleague at the Berlin court, the gamba virtuoso Ludwig Christian Hesse, has drawn up for his practical use. On the basis of this part set, the concerto appears now for the first time in print. 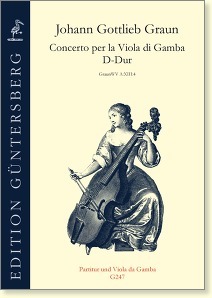 This work presents itself as a rare opportunity for more advanced gambists to acquaint themselves with a genre which until recently had seemed the province of the orchestral and keyboard instruments, namely the late Baroque solo concerto in the Italian style.